Where do I start what do I do? 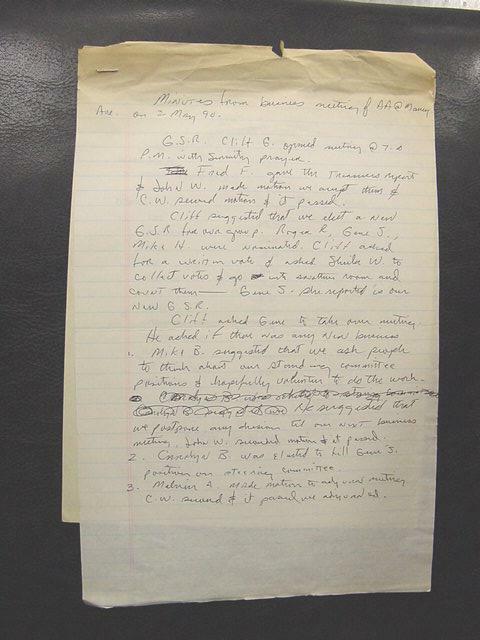 Notice the outer edges of this document. It has significant damage already. It is dated 1990. That's only 13 years old. Without the proper treatment the life of this document is just a few short years. Action taken with this particular document was, a copy was made. 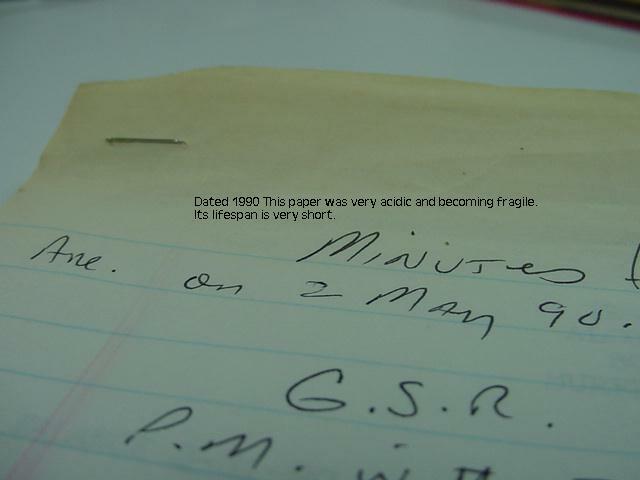 Because it was very fragile around the edges and we at this time don't have the capabilities to de-acidify the document properly it was entered into a protective sleeve and marked as acidic. This separated it from other documents and hopefully we can in the near future give this document the attention it really needs. 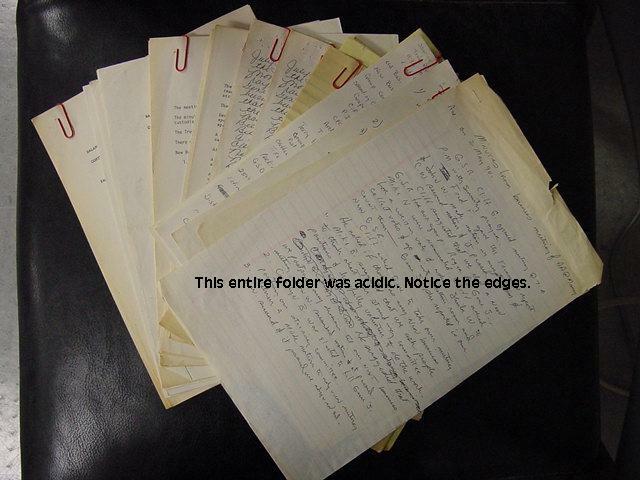 As stated in the photo above, 95% of one folder accessed was very acidic. It was noticed that also the smell of smoke was present. A Ph test was done and verified. In other folders that were obviously around cigarette smoke the acidic value of many of the papers were much higher. Its not hard to notice that this filing cabinet is overstocked. It is very difficult to access and properly preserve and protect these records. Action in progress is: Starting in the middle each folder is being accessed and folder suggestions below are being taken. The files then are being moved to a temporary cabinet for replacement in proper filing cabinet when all files are complete. Again this is obvious that this folder is well used. Action taken was accessed and followed folder suggestions and kept intact until replacing in filing cabinet. At this point we will add additional folders and minimize the size of each folder. But at the same time try to keep separated folders together. Notice the obvious dis-coloration on the edges of this document. Hand dated 1976. In the right portion of photo you will see many staples that have been removed from these documents. It has been noticed that many documents and flyers dont have the Date on them. Also it has been noticed that someone that has filed or re-searched these documents in the past have hand-written the dates on them. I question writing on an original document and prefer not to do this. Acid migration - the transfer of acid from an acidic material to a less acidic material or pH neutral material. Remember, acid always migrates to neutral, NEVER does neutral migrate to acid. Acid migration may occur directly, when two materials are in intimate contact with each other. Example, acid can migrate from boards, end papers and protective tissues, as well as the paper covers of albums, and from memorabilia to less acidic paper. 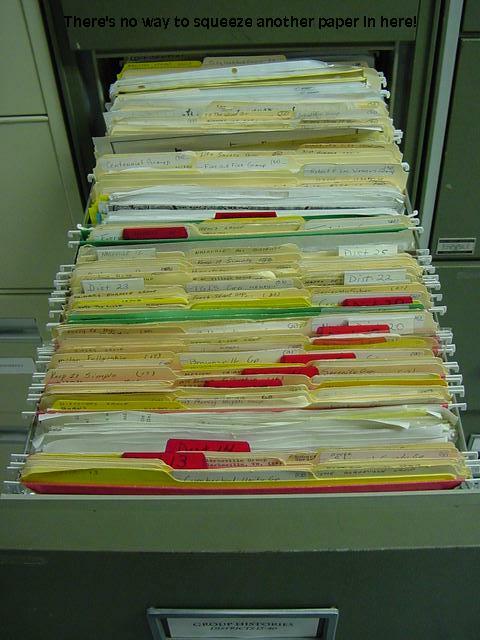 When your Archivist/Historian access's a particular folder, they might take the time necessary to do just a few things that will help to insure the continued life of your repository. Remember when you access material, it is not foolish to think that this folder might not be accessed again for many years. So it might be wise to think about the following suggestions. 2: Remove un-related material and place properly. 3: Remove anything more than duplicates and place or distribute properly. 4: Try to keep all pertinent documents together. 5: Ph test on backs of documents that are in question. 6: Straighten all crease's and folds. 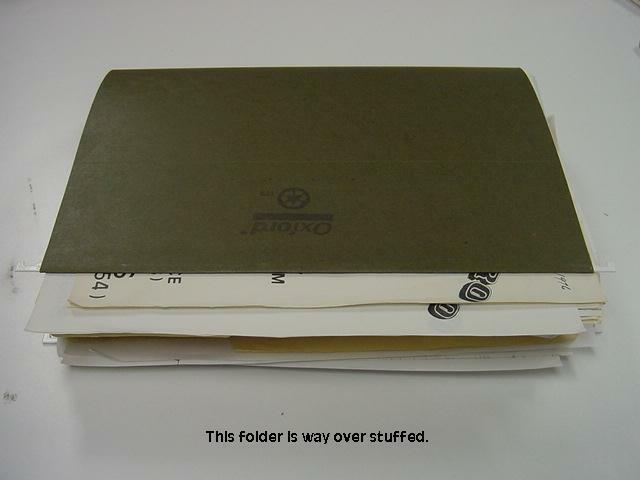 7: Older or more fragile precious documents might be put in archival quality polyester sleeves. 1: The coated paper clips seem to work the best. Unlike the plastiklip the coated paper clips don't seem to crease and damage the papers as bad. 2: Un-related material might be District 10 material in District 32 folder. etc. 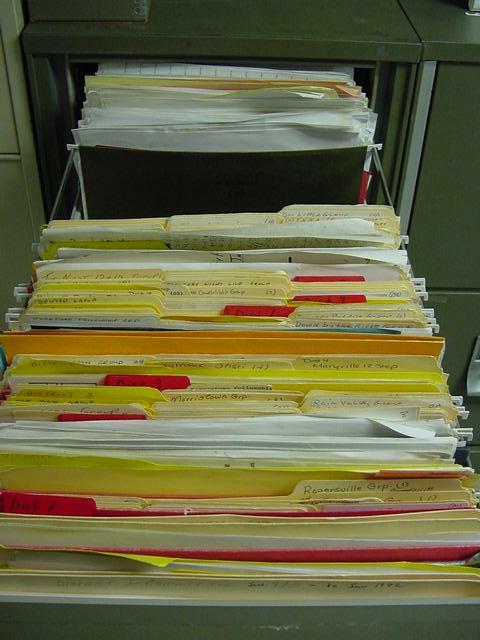 3: Many times there may be several of the same documents in a single folder. Two of the best copies might be preserved/archived and the others distributed to the Area or District or Group to which they pertain. A folder for Duplicates might be compiled and occasionally distributed properly. 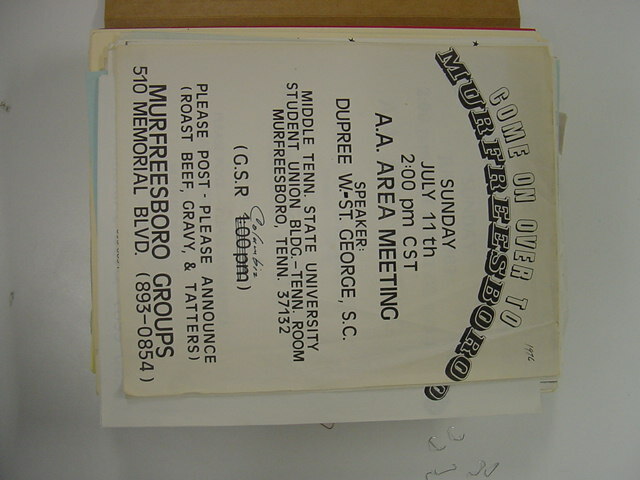 4: Say for instance a Old Member passes on and their family donates all their AA related material to an Area Archives. In this case if it is possible it would be nice to keep these items together. 5: Obviously this leaves a mark. So in the least conspicuous place would be the best place to test. 6: Use a bone folder or something similar to un-fold and straighten out best you can. Re-stack papers neatly. 7: Of course more precious documents that are fragile or maybe acidic would need a little closer examination. It might be wise to add the more fragile documents into a archival quality sleeve for a little added protection. 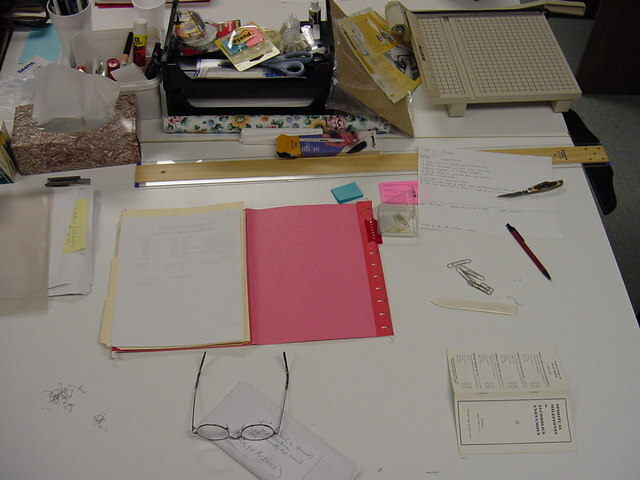 8: It is also wise to copy fragile or acidic documents and label as (COPY) for future Archivists/Historians. Q: What exactly does "acid-free" mean? A: If a material has a pH value of 7.1 or above, it is considered acid-free. Q: How can acid harm my photos and mementos? A: If an acidic product comes in contact with photos, paper or other mementos, the acid can migrate, causing deterioration and discoloration over time. A: The pH of a product is a measure of its acidity or alkalinity. On a scale of 0 to 14, 7 is considered neutral. Below 7 indicates acidity. A lower number indicates an INCREASE in the level of acid. Above 7 indicates alkalinity, with the level of alkaline increasing as the number increases. Q: What is lignin and why is it harmful?